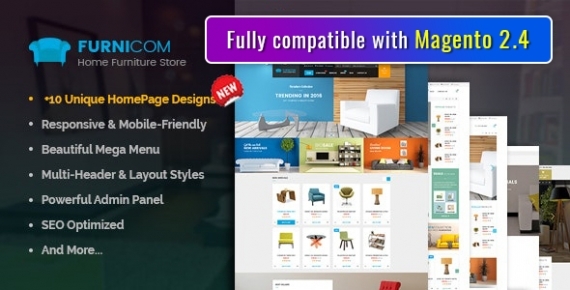 Let's make your store more impressive with our new beautiful design - Megashop . Megashop is a multi-purpose responsive magento theme that has everything you need for stores with wide range of products, especially designed for furniture store... Coming with an eye-pleasing design interface, clear layout, light tones, unlimited color scheme and extremely flexible, so you can change anything in this theme: color, background, layout, font, language...to make it really become the store you wish. 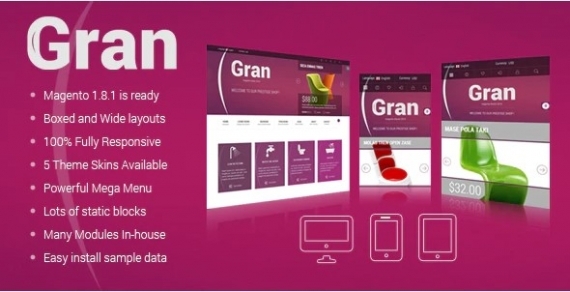 SM GRAN - Responsive Multi-Purpose Theme for furniture stores SM GRAN - is a premium responsive Magento theme with clean, modern and elegant design, 5 striking color presets, neat typography, smooth navigation and well-structured layout. This theme would be really perfect solution for showing your products more outstanding as well as enhance the customer's shopping experience.